On site shoe mobile service is one of the most popular services we provide. 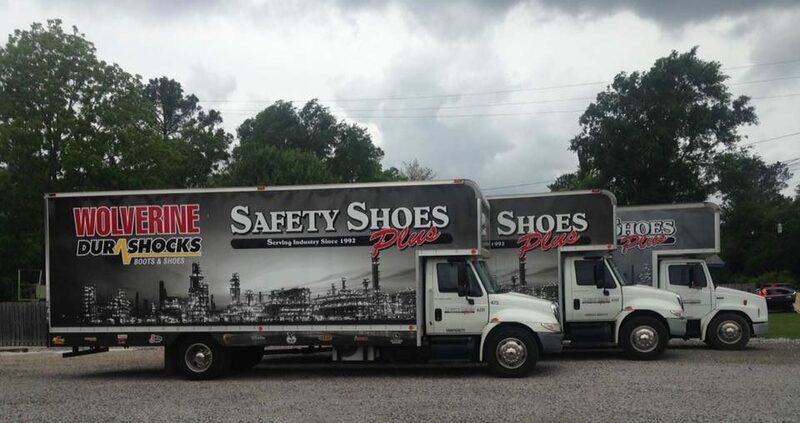 We have multiple trucks, fully stocked, in order to provide shoes for any industry in the southeast USA. Each truck can be tailored for the prices, styles, and sizes needed. As a result, we are able to accommodate the needs of any company. Because we carry the same great brands in store and on the truck, our shoe mobile service is a great option for companies whose employees can’t make it to the store. Shoes for both men and women are available in a variety of sizes. Contact us about what we can do for you. Our knowledgeable staff will be happy to assist you.